Trinseo (NYSE: TSE), the global materials company and manufacturer of plastics, latex binders and synthetic rubber, today announced that it is seeing a strong demand for its polycarbonate compounds and blends. 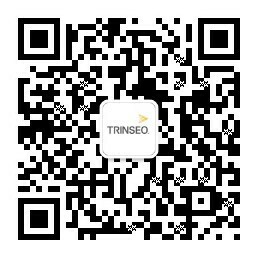 Of particular interest are Trinseo’s UL-certified clear grades, which allow for very high light transmission and the ability to compound in light diffusion aids to achieve uniformity of light distribution while maintaining high lumens efficiency. Trinseo offers a complete range of clear, UL certified grades. Its newest patent-pending technology, EMERGE™ 8830 LT Advanced Resin, is an innovative, clear polycarbonate that balances the properties of transparency, thickness and ignition resistance. Nearly as transparent as glass, the material is unique in that it has earned a UL 94 rating of V-0 at 1.0 mm and a 5VA rating at 2.5 mm. The material is available for indoor and outdoor applications. Trinseo’s materials, CALIBRE™ Polycarbonate Resins and EMERGE™ Advanced Resins, are used routinely in lenses, covers, housings, and reflectors. They are specified by a growing list of blue chip customers for their ability to address critical industry needs, including thinner gauge plastics, lighter weight materials, design freedom, and superior optics. Trinseo has a rich history in the LED lighting industry that includes being involved with the technology since the evolution away from incandescent lighting began.